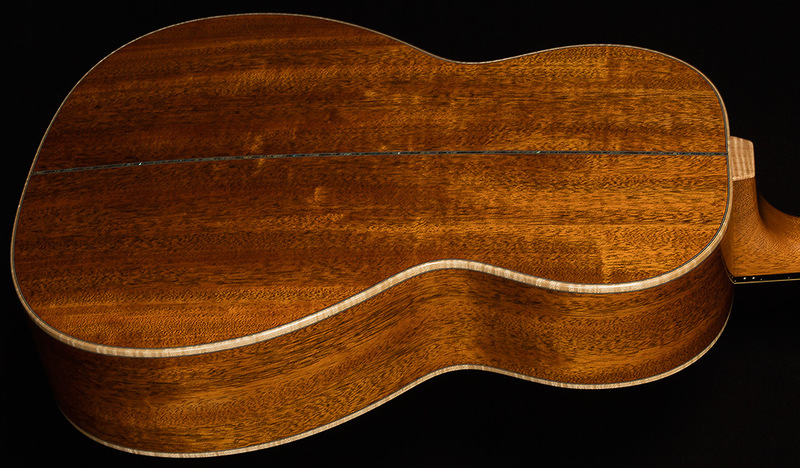 Warning: this Froggy Bottom may ruin every other acoustic guitar for you! 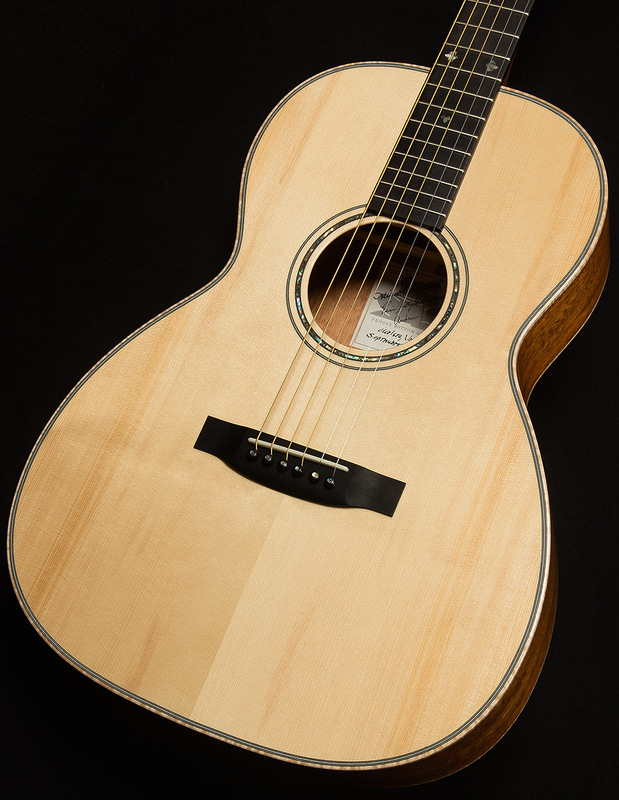 The words “best in the shop” got thrown around once everyone had heard it, and that’s high praise considering how many out-of-this-world acoustic guitars we have in our inventory at Wildwood! 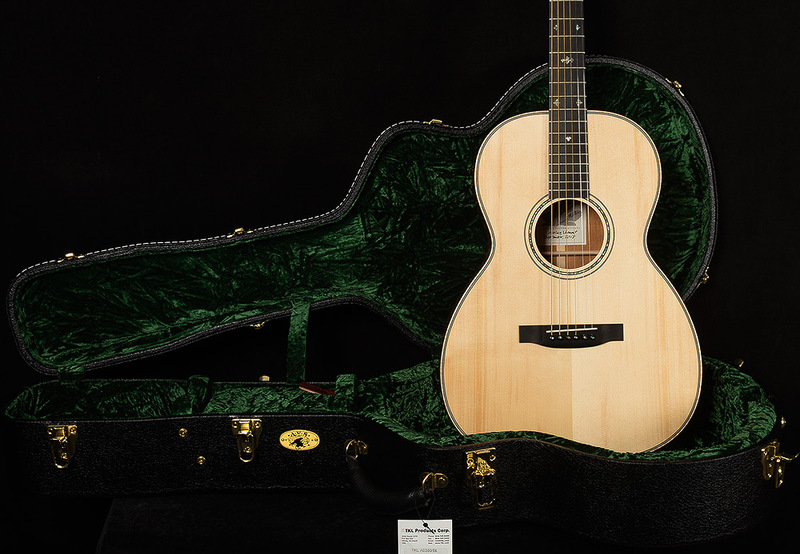 Oftentimes, people looking for an acoustic guitar have to choose between the crispness, subtlety, and nuance of a small-bodied guitar and the loud, open-sounding boom of a dreadnought. With this Froggy Bottom, you get to have your cake and eat it, too! The first thing I noticed about this guitar was it’s exceptional clarity. When I picked it up, I played the same tune I always play (Jackson C. Frank’s “Blues Run the Game”) and heard things I’d never noticed before that affected my rhythmic feel, the way I phrased my runs, and my picking patterns. Every glorious subtlety of every hammer-on and pull-off, every attack, and every soulful bend comes through beautifully. 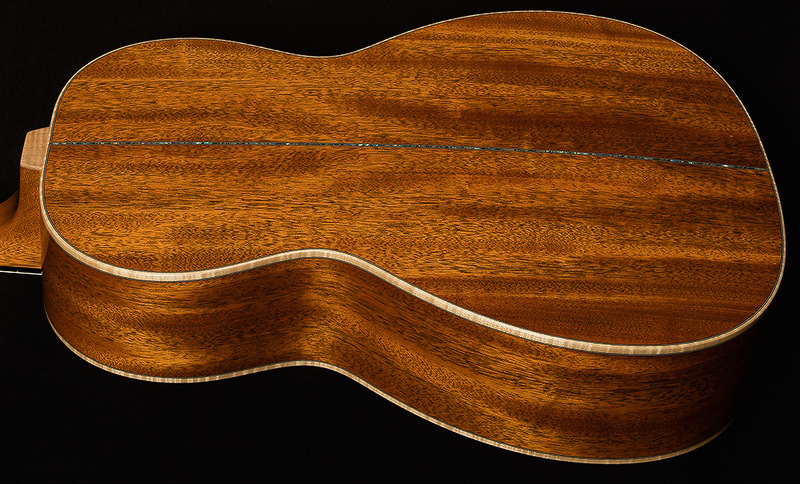 It is truly wonderful when a guitar’s sound is so pure and so clear that you hear new possibilities in the same old tried-and-true open position licks that you always play in G.
The second thing that jumped out at me was the crazy amount of headroom this acoustic has despite its small body. Even when I loosed my punk rock strumming chops on this puppy, I couldn’t get it to sound boxy and the trebles always maintained a sweet, singing quality. With a blindfold on, I might have legitimately mistaken this guitar for a dreadnought! Speaking of volume: this guitar is also incredibly dynamic. 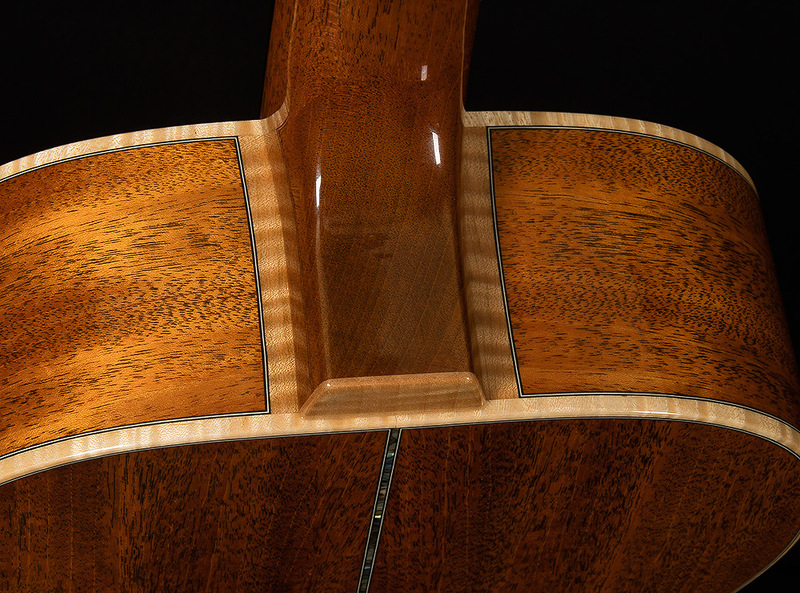 By varying your attack, you can coax a seemingly endless variety of timbres out of the soundhole. And speaking of timbres, let’s talk about my favorite part of this guitar: it’s unique frequency response. There’s just enough bass for it to avoid sounding thin, and just enough high-end sheen to keep things sparkly, but for the most part this guitar is all midrange, all the time. It punches you in the face you play hard and carries you off to the clouds on an enormous pillow when you play softly. This means that it records exceptionally well! Midrange is the most crucial thing you can capture when you’re in the studio tracking acoustic guitars, and this Froggy Bottom’s sonic profile will make even the most harried recording engineer weep tears of joy. All you have to do is point a good mic at this thing and it will fit in perfectly on just about any track that requires an acoustic guitar. I could see this guitar being a great fit for a session musician or record producer that needs an instrument that will enhance any song it appears on, but this would also make an excellent guitar for anyone that has ever enjoyed playing an acoustic guitar in their life—it’s that good! This is the sort of guitar that I could see myself growing old with, because when you find a guitar with such exceptional tone and playability, you never want to put it down.